You can buy them using a bank transfer or debit card from Cex.io, Coinmama and many others. You can buy them using PayPal, Payoneer and other online payment systems. You can also buy bitcoins using cash. 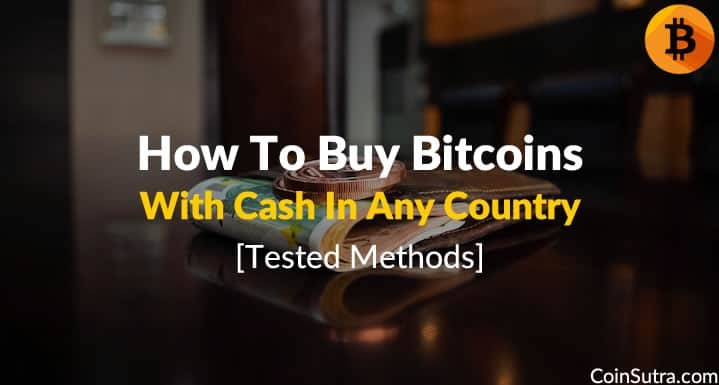 In this tutorial, I will show you the exact process you need to follow to buy bitcoins in your country using cash. This method works for most countries in the world (and I can personally verify that it also works in India). Word of warning: You should have some basic knowledge of Bitcoin to ensure you’re doing the transaction smoothly, safely, and securely. Why do people buy/sell bitcoins in cash? Well, there are many reasons. One reason is that buying in cash from P2P marketplaces gives you more anonymity. When you buy bitcoins from an exchange or a popular Bitcoin site, you hand over your personal details to complete the business’s KYC (know your customer). This takes away the anonymous nature of Bitcoin transactions (which is one of the core reasons for Bitcoin’s existence). But when you buy from an independent seller, your transaction is 99% more anonymous than buying from other sites. In this tutorial, you will learn about P2P sites which are like eBay for Bitcoin. 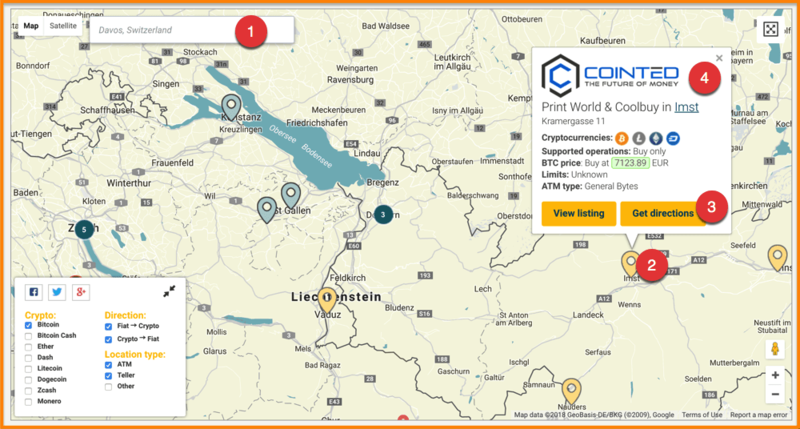 These sites connect independent buyers & sellers, and they use the P2P platform to do the transaction. The downside is that you need to ensure the safety & security of the transaction on your own. Make sure you buy bitcoins from a seller with high reputation (more on this later). Meet the seller at a public place in broad daylight. Do not exchange unrequired personal details when you meet with the seller. Wait for the transaction to confirm at least twice. I usually wait for 3-4 confirmations. Sometimes it takes about 5-15 minutes for the transaction to confirm multiple times. So now that you have learned some of the basic skills for keeping yourself secure when turning cash into Bitcoin let’s move ahead & learn how to purchase bitcoins using cash. This technique works for most countries like India, USA, UK, Australia, Nigeria, Canada & many others. These are some of the popular P2P Bitcoin exchanges you can use. 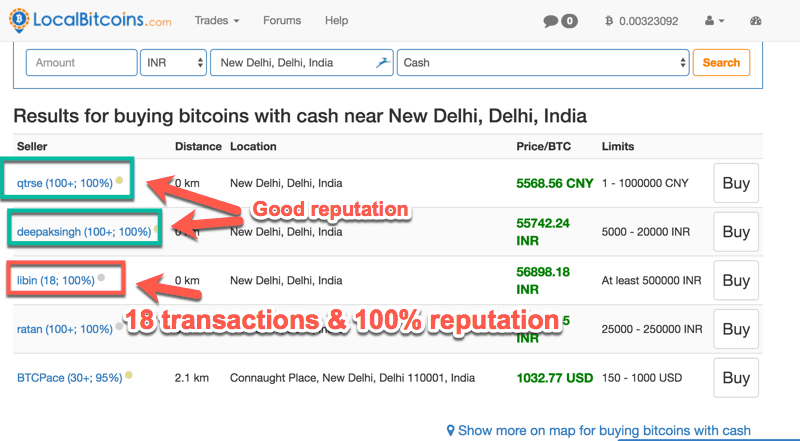 I like using LocalBitcoins for such transactions, and only have good things to say about them. One major advantage of LocalBitcoins: Once you have done some transactions, your profile gets a higher reputation, and in the future, you can also start selling bitcoins for profit. Head over to LocalBitcoins & create your account. Make sure to verify your email and mobile number. Enable the 2 step authenticator (if you know how to use this). Take notice of the number of transactions & the reputation percentage. I would suggest doing business with a person who has a high number of transactions and a good reputation (even if they’re more expensive than others). Also, pay attention to the Price/BTC & Limits columns. The Limits column shows the maximum amount (in their currency) that they can accept. 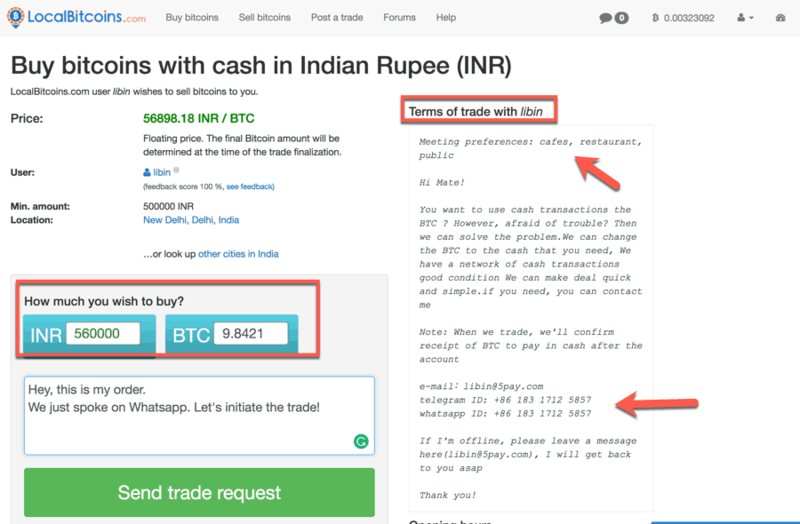 For example, in the above screenshot, deepaksingh is only willing to trade bitcoins worth 20,000 INR ($350). That is less than 1 BTC. If you wish to buy 1 BTC or more, you need to find a trader who is offering more. For example, qtrse & libin (in the above screenshot) will be able to sell a higher number of bitcoins. Once you have identified your seller, simply click on “Buy.” This will take you to the listing page. Here, read the Terms of trade on the right-hand side. This is important. Make sure you read every word. Most cash traders list their phone number so that you can talk to them over WhatsApp or Telegram. Once you have spoken to them on the phone, you can send the trade request. 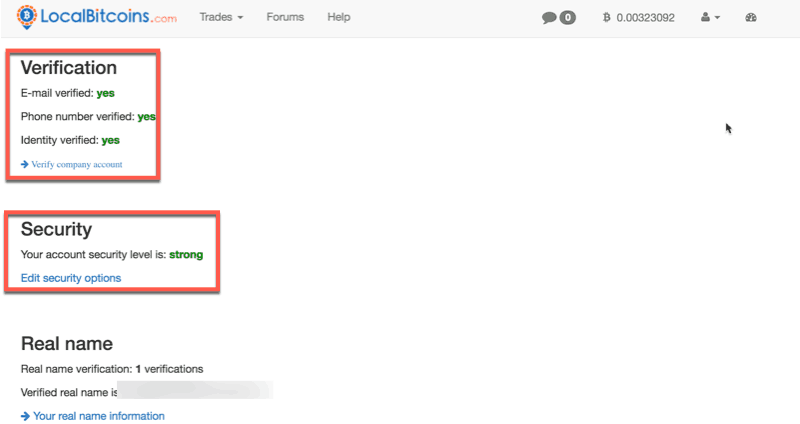 The seller also has to accept the trade request & when they do, their bitcoins are locked in LocalBitcoins escrow. Now, based on your terms, meet the person at a public place & exchange the cash. IMPORTANT: Make sure the seller confirms the transaction in front of you. In the above screenshot, you can see two different transactions. One with two confirmations & last one with 13 confirmations. 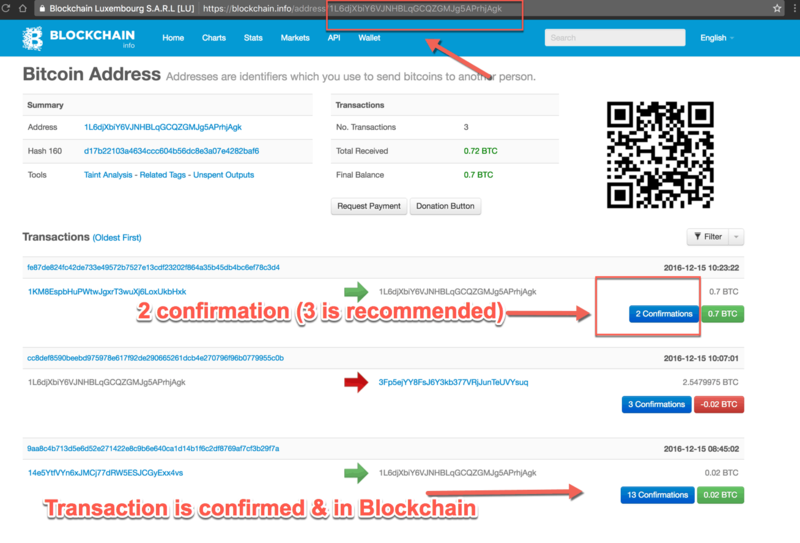 You should wait for 3-4 confirmations to ensure the transaction is confirmed. Usually, it takes about 5-15 minutes but on some day this can take up to an hour. In my case (I did one moderate transaction while writing this tutorial), the seller sent another person to pick up the cash. When he picked up the cash, he confirmed with the seller over SMS & the seller released the escrow funds. Note: If the trader is of a high reputation, at a later stage, you can deal directly with them. This way, you can always ask for a lower price than what is listed on LocalBitcoins. Most reputable traders will accept these deals since LocalBitcoins charges about 1% of transaction value as a fee from the seller. 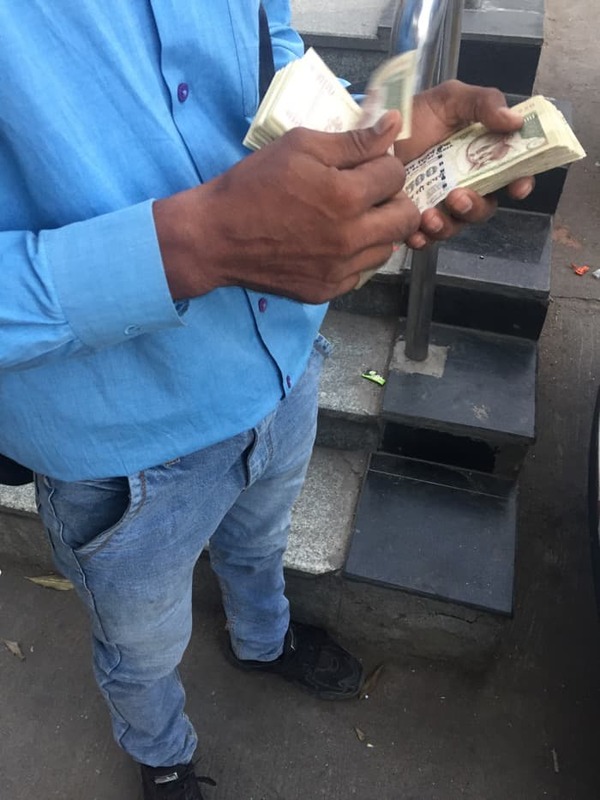 Another easy way of buying BTC in cash through an ATM. A Bitcoin ATM asks you to scan your public address and transfers BTCs to that address in the equivalent fiat you deposited in it. In some cases, if you don’t have a public address, just select the option of “don’t have an address” and the ATM will generate a paper wallet for you (if it supports that feature). Tip: If you wish to store the bitcoins for a long-term investment, make sure you transfer the bitcoins to your secure wallet. The best is to use a hardware wallet like Ledger Wallet, Trezor, or KeepKey. You can also use an Android-based wallet (the best are listed here). Do let me know what other things you do to ensure the safety & security of trading bitcoins for cash. If you find this tutorial useful, do share it with your friends on Facebook & Twitter! Thanks for dropping by & for your comment Deepak. Nice post. Bitcoin is a great way of investment. Looking for more interesting post from you. That was preety good specially the video part! Very helpful guide for newbies who want to buy Bitcoin!